It was teaming today — rain. And in some parts of the Rumson-Fair Haven area, like Sea Bright, the precipitation and high tides were forecasted to bring the usual coastal flooding to Sea Bright — or pools of water taken to the street, at least. So, in keeping with wishes for voluntary swimming (rather than doggie paddling across the street) and sunnier days, the Retro Pic of the Day takes us back to the mid-1970s a different kind of team — not teaming rain, but swim team(ing). 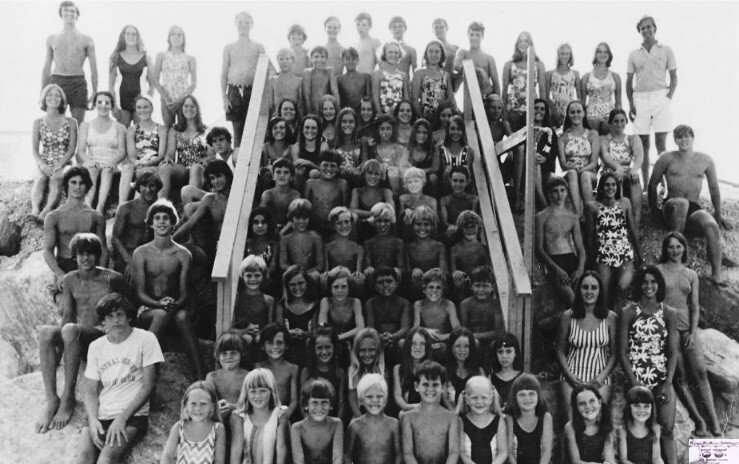 This is the old Peninsula House Swim Team. Check out those freestyle tans, toothy grins and suits. Remember Peninsula House, commonly dubbed P-House? 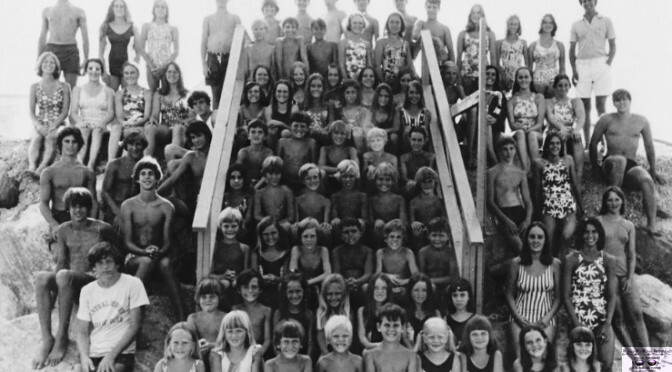 It was a popular, affordable beach club to team up with RFH buds and join back in the day. Recognize any of the RFHers win this pic? They’re all about the swim and sunny daze.